Apple is working on a cheaper and smaller version of iPhone as reported by Bloomberg. The main reason is to compete with the Android handsets that are conquering the US market share rapidly. WSJ suggested that instead of a medical leave by Steve Jobs (CEO) Apple inc. , he is actively participating in the company by keeping an eye on the future releases such as iPad 2 and iPhone 5. Google’s share of the global smartphone market has been tripled to 32.9 percent in the fourth quarter, eclipsing Apple’s 16 percent, according to Canalys. 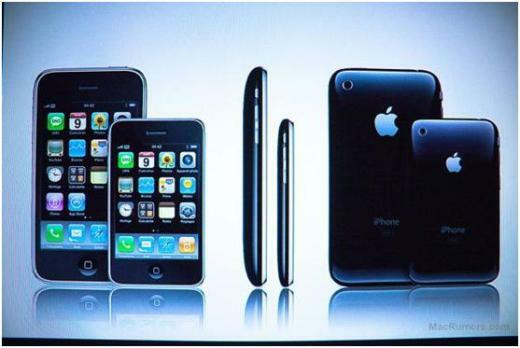 By making a cheaper and small version of iPhone , Apple wants to increase the global market share to 100%. People who have seen the smaller version of iPhone said that it was one-third smaller than the original iPhone and had no home button. Many days back , we also heard a rumor that some instances have beenfound on iOS 4.3 beta which suggested that Apple might remove the homebutton from their products. The reason behind a less priced iPhone could be a components which doesn’t cost a lot and suppose to be advanced than Apple use now.